As part of t=0, MIT’s campus-wide festival of entrepreneurship, the MIT Innovation Initiative and Martin Trust Center for MIT Entrepreneurship will be hosting an in-person version of the resource guide on Wednesday, September 12, 11:30 am–1:30 pm at MIT Stata Center. Come by to learn about the many entrepreneurship and innovation resources available on campus this fall: classes, sources of funding, mentoring programs, makerspaces, prize competitions and more. 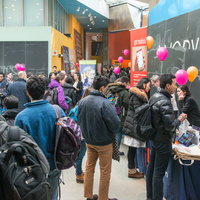 The Innovation Initiative will also be on hand to help answer questions about the Entrepreneurship & Innovation Minor. As an added bonus, free food will be provided!